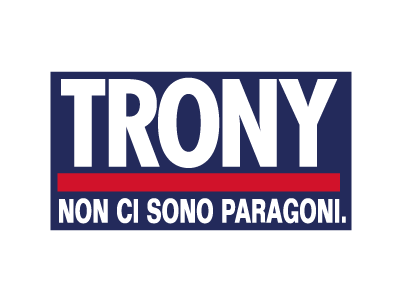 Trony is an Italian retailer specializing in consumer electronics, computers, telephones, and household appliances. Comprising a consortium of 15 companies, Trony has a nationwide network of 15 warehouses and 190 retail stores. Achieving the company’s vision of “any time, any place” online shopping was a complex proposition. To optimize its logistics and fulfill customer orders quickly, Trony required a high degree of system integration that allows real-time visibility of all available inventories throughout its locations in Italy. Customer-focused logistics: Trony ships from 205 locations across Italy. This complex project took just six months to complete. Founded in Milan in 1991, Trony has quickly grown to become a major player in the retail electronics sector. Seamlessly integrate 15 enterprise resource planning (ERP) systems. Create a consistent, single-provider, omni-channel brand experience—despite a complex organizational structure. Connect over 200 separate locations to enable real-time inventory visibility. All online orders are managed and fulfilled using Intershop Commerce Suite. Efficient logistics: each order is automatically forwarded to the optimum location for fast delivery. Powerful product information management (PIM) system enables product presentation with images, text, and rich content. Dynamic search and rating functionality thanks to integrated search engines and rating services. Customers can choose from a wide range of delivery and payment options. Mobile commerce, coupons, and other marketing features round out the shopping experience. Intershop’s functionality was the right fit for our specifications around product presentation, payment process, back-end management, flexible integration, microsite, and adaptability to graphics requests. In just six months, we were able to launch an online presence that enables the group to act as a singlebrand operation, integrating the platforms of all Trony subsidiaries to extend the widest choice of product offerings to customers.